Chickens laying eggs, chickens being eaten...where does it stop? As soon as Cheryl takes action! Cheryl the Chicken learns about a new thing going on at the farm: Chickens are being eaten. Her previous, naïve brain couldn't comprehend such a horrible occurrence, but, this time, she realizes the seriousness of the situation. 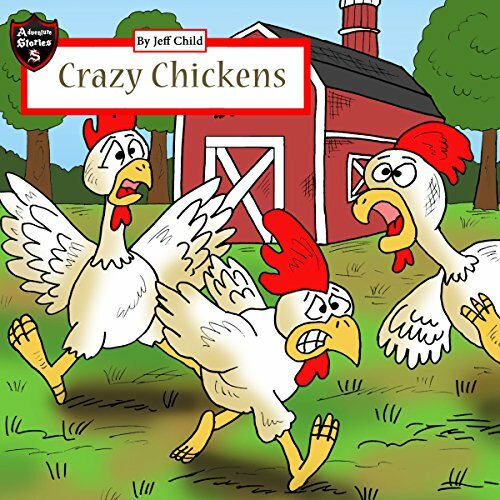 Listen about a chicken who thinks of clever ways to outsmart the farmer and plan an escape route for her and her sister chickens to a land with roosters and freedom. Very well written and well narrated. It is a fun and enjoyable story you should listen to. I am sure you will like it. I know this was supposed to be for young readers but I get so curious about the title and the introduction. I made my nephew listen to it after. The story is very good and I must say that the author has a a very wide imagination. I found this audible entertaining to listen. So I used this audible to do story tell to my niece. I really loved this audio book. Very well written and well narrated. This crazy chicken is awesome. This crazy chicken is awesome. Our 2 kids, aged 4 and 7 loves listening to it. They cant wait to know what happens next and is scared of what will happen to the chicken. It is quite entertaining.